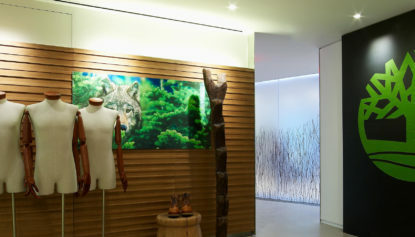 Corcoran (Chelsea) | ENV | Design. Innovation. Vision. 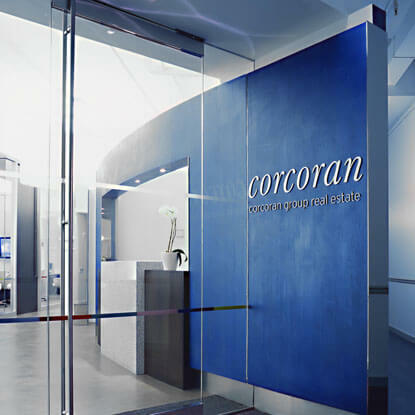 Corcoran Group is a residential real estate brokerage firm in New York, and a subsidiary of NRT. Founded by Barbara Corcoran in 1973, this real estate firm has grown to a legend in residential real estate market with over 2,000 agents in 25 offices across New York, the Hamptons and South Florida. 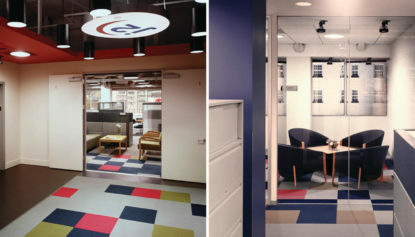 Each office aspires to portray the characteristics of the neighborhood. 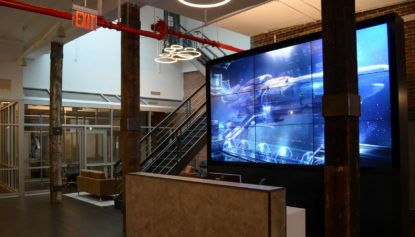 Converted from what was originally a sewing factory, this Chelsea office space presented great opportunities to bring out the Chelsea neighborhood atmosphere. 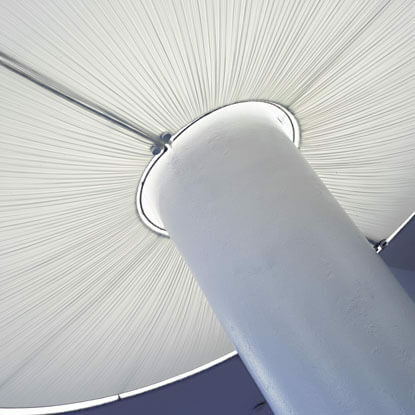 6’ diameter custom lampshades were mounted on every column to accentuate the high ceiling as well as give a human scale. A series of curved walls were used to guide the foot traffic from a narrow entrance to the beautiful open space in the back. 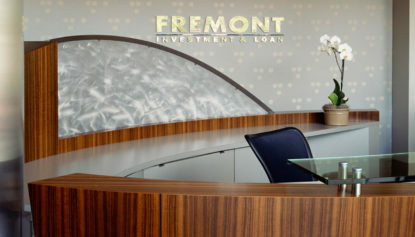 The open work area promotes collaboration among brokers, and the meeting rooms and quiet rooms fills the need for focus and confidentiality. 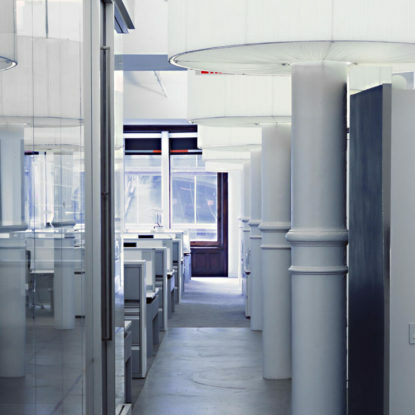 Corcoran’s mission of celebrating and staying true to the neighborhood was accomplished by using the building’s existing steel columns as stunning lighting elements inside the space. 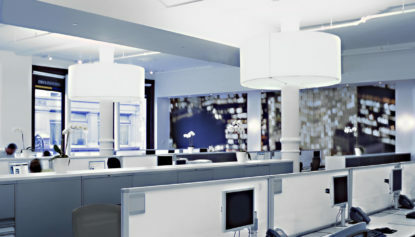 The open space can accommodate about 75 brokers and staﬀ, facilitating communication and teamwork. The largest wall features a life-size mural of the New York City night skyline highlighting the beauty of this neighborhood.